Royal Spa Brass is all about the enjoyment of making music, with an emphasis on brass and percussion playing. We provide performance and learning opportunities for players of all levels of experience and ability, from complete beginners through to virtuoso soloists. We are a voluntary, non-profit making organisation, with a proud history stretching back to the early 1900s. Our permanent home is at The Band Factory in Althorpe Street, Old Town Leamington Spa. It is a fantastic facility with large rehearsal space, practice rooms, recreational space, kitchen, and its own car park. We have one of the best modern brass music libraries in the country (upwards of 1100 titles), some wonderful percussion instruments, and a large stock of fine brass instruments purchased with the help of grants from The Arts Council Lottery Funding and The Foundation for Sport and the Arts. Whoever you are, and whatever your capabilities, you can play your part in our activities - you don't have to be a brilliant musician to join in. There are no auditions or tests. The only thing we ask is that you commit to working hard and to enjoying yourself! 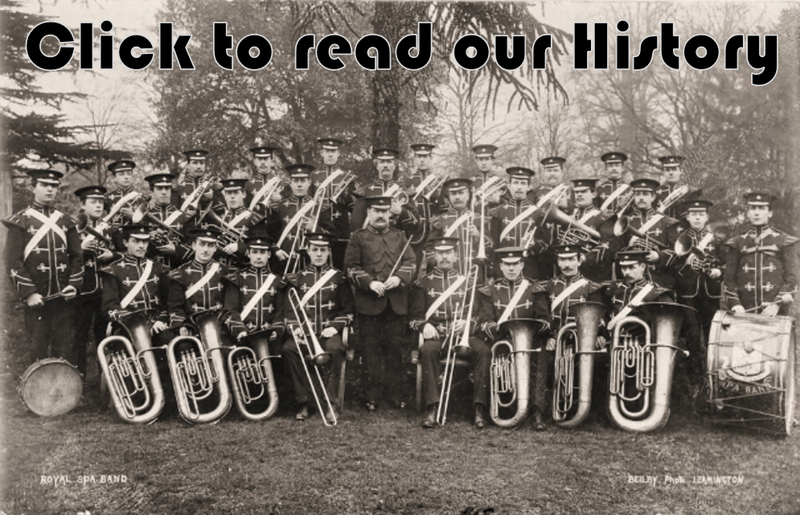 Over the years, many hundreds of local people have enjoyed banding with Royal Spa Brass. In addition to the regular rehearsals for our various bands and ensembles we run special projects and activities including workshops, masterclasses and frequent concerts and public performances. The more experienced Royal Spa Brass players are always on hand to provide encouragement and help to those just starting out.